London, Apr 7, 2019 (Issuewire.com) – Leading philanthropists, NGOs and private sector leaders from Oxfam, UN, WHO, Microsoft Philanthropies, Google, KPMG, Red Cross and ICRC will participate in the fastest growing humanitarian aid and international development event – the World Humanitarian Forum (WHF) – taking place in London on April 17thand 18th. The event portfolio is expected to attract more than 5,000 global public and private sector officials from over 50 countries. The event will also showcase the latest technologies, including drones that aid the humanitarian work and will have a special focus on finance, new partnership models, food security and disaster management. “However, I am pleased to say that new partnership models are emerging. In the last 10 years, we have noticed a significant shift in funding models. Western governments have long served as the primary funders and often the drivers of international development. But now they are joined by countries such as China, India, with rapidly growing resources, as well as by philanthropies and foundations. New funding mechanisms like development finance that leverage private sector investments, social enterprises, impact bonds, and others are not just creating new revenue streams but also changing where resources are directed and how development work is conducted,” she added. Another significant change in the humanitarian sector is the changemaker role that technology is playing. Mobile services, drones, ICT and disruptive technologies are transforming disaster risk reduction. Using technology helps spread critical information more quickly, improve understanding of the causes of disasters, enhance early warning systems, assess damage in new ways and add to the knowledge base of the social behaviours and economic impacts after a crisis strikes. The World Humanitarian Forum is designed to be a platform for thought leaders and officials to share their knowledge. It offers an opportunity for governments, NGOs and private sector experts and officials to discuss the future of the humanitarian sector, challenges it faces today, showcase solutions and innovations that can make a difference and engage in a truly global dialogue. “It is more than a place for dialogue, it is a call for action and a platform for sharing new technologies, partnership models for effective humanitarian work,” concludes Ozfescioglu. The Forum will also host International Disaster Management Exhibition (IDME), Emergency Show London, and Aid&Trade event. World Humanitarian Forum arrives in London for the first time, following the highly acclaimed World Humanitarian Summit in Istanbul. This is an invitation-only event, featuring leading philanthropists, former leaders, NGOs and private sector from Oxfam, UN, WHO, Microsoft Philanthropies, Google, KPMG, Red Cross and ICRC. International Disaster Management Exhibition (IDME) provides a unique, international platform for the world’s disaster management and response community to exchange of science, policy, and best practice. There’s also a series of workshops and programmes across the two days, featuring industry experts, for visitors to improve their skills in this sector. Recognising the cross-over between technologies, we are immensely proud to launch Emergency Show London. The show, again featuring significant advancements in products and services is for anyone in procurement across the Emergency and Blue Light sectors. There are over 20 sessions with 30 speakers covering; Procurement and Supply Chain, Lessons Learnt and Medical, tackling key issues and developments. 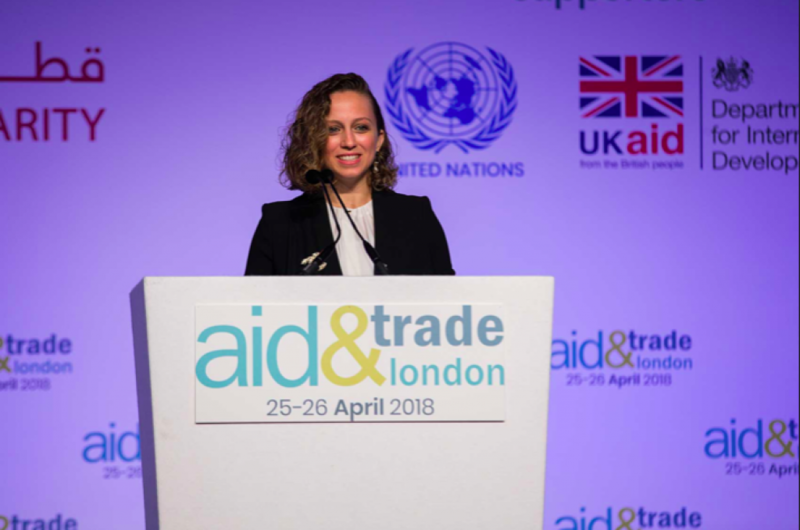 Aid&Trade London, now in its 3rd year, is the fastest growing humanitarian event of its kind, bringing together major stakeholders working across the Global Aid and the International Development Industry. Showcasing the very latest products and services, Aid&Trade London, is the event for doing business and ultimately improving the delivery of aid. Every year we deliver world-class, innovative conferences and workshops featuring over 150 speakers, tackling ‘head on’, key issues and challenges facing the industry today. Heliocor Partners with LAN2LAN to deliver AML/KYC offerings globally.